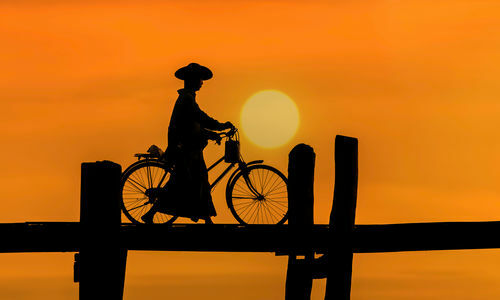 It is hard to believe that bustling Mandalay was known as 'the bicycle city' just 25 years ago. Having said that, this fast-developing city is thankfully still relatively void of towering skyscrapers and American chains - for now at least - and is certainly still worth a visit. 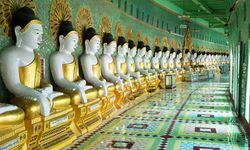 Mandalay was the last royal capital of Myanmar and the city is home to Kuthodaw Pagoda, 'the world's biggest book', Mahamuni Pagoda - home to the famous 9 tonne 'lumpy Buddha' - and Shwenandaw Monastery, an exquisite teak carved building remaining from the 19th Century Royal Palace. 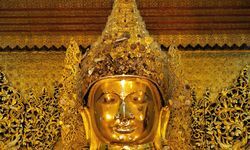 Exploring these with a guide is a great introduction to the country's culture and deep history. 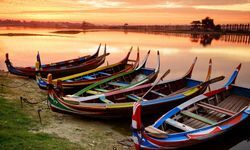 Famous for its local crafts and artistic scene, explore the numerous workshops here including wood carving, kalaga tapestries and gold leaf bashing, and spend an evening enjoying a local comedy, often conveyed with puppets. A word of warning for the shopaholic - this is a destination well worth taking a spare bag for. 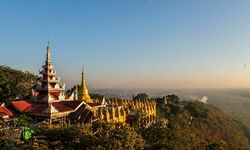 From Mandalay, take a boat trip up the Irrawaddy to Mingun, surrounded by golden stupa- studded hillsides. One of the biggest draws to this little village is the famous 'unfinished' 18th century stupa; what would've been the world's biggest stupa was never completed by order of the king, after an astrologer claimed that he would die if it was finished. 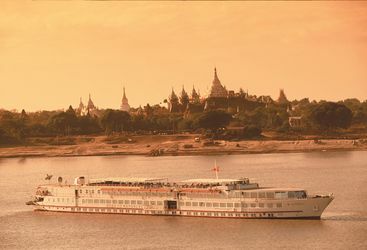 If time allows, take a cruise from Mandalay down to Bagan, witnessing daily rural life along the river - remote villages, bullock carts, pot-making and ancient temples - a great chance to experience a different side of Myanmar. 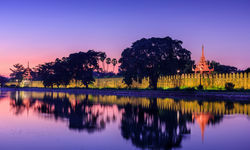 Explore Mandalay by night at a thrilling pace, zipping around by motorbike. 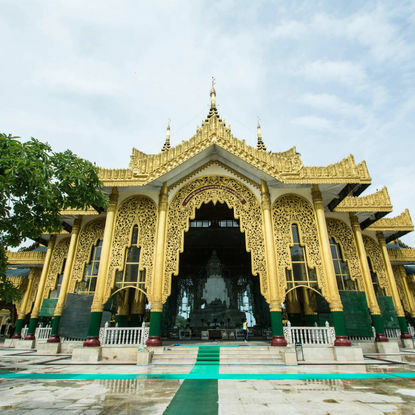 Wind through the streets with an expert guide so you can gaze in wonder at the Buddhist Kyauk Taw Gyi Pagoda, festooned by green and red lights. Stop at a night market offering bowlfuls of mohinga and sizzling pork skewers. Wash it down with a cold beer at a local hangout or try a quintessential karaoke session. 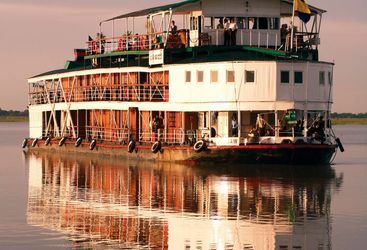 Head south of Mandalay to Amarapura, Burma's former capital. 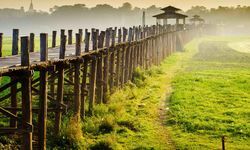 Walk along the U Bein bridge stretching across the Taungthaman Lake. 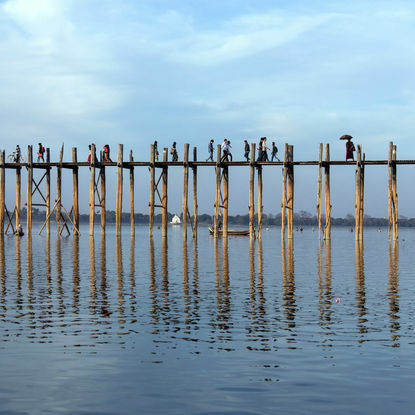 Built around 1850, it's considered to be the oldest teak-wood crossing in the world. Take time to stroll over this feat of architecture, all the more extraordinary in the dry season when the tall poles tower over the lake. 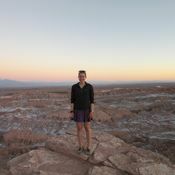 Start walking just in time for sunset to see amber-bathed waters. Visit one of Mandalay's classic tea houses in the early morning, when they're at their most atmospheric. You'll duck into one of the city's institutions for a glimpse into this serious pastime. 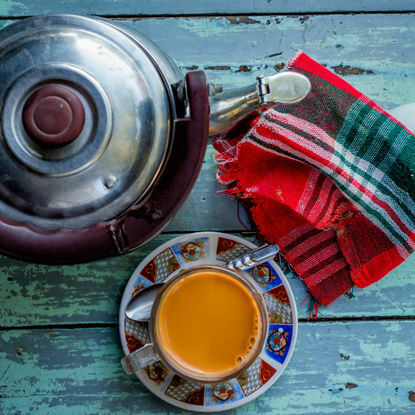 Cram in with locals and ask for a lah phet yay, a traditionally sweet milky tea. During the early morning thrum, you can see gem merchants conducting business and other locals chatting over bowls of Shan noodles. 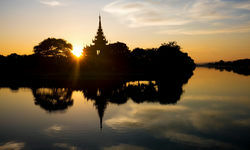 The Hotel by the Red Canal is – in our humble opinion - the best boutique hotel in Mandalay.